The purpose of this site is to make you sad. We want you to look at the situation here and make you sad so that you will have to help. These children play, work and eat in filth-laden conditions. Their hope for the future is non-existent. Their idea of a big day is for some organization to come along and give them a free t-shirt and let them pose for their cameras. They are here to make others look good. Politicians, movie stars, those with foundations that promise to support. It hasn’t changed in 30 years unless of course it has become worse. Our introduction is, “The Time Is Now.” We have chosen that theme for this cause for a specific reason. Look at all the promises of help these people have heard. Now look at their present situation. Come visit us, and see what we have been doing in the last ten years here. 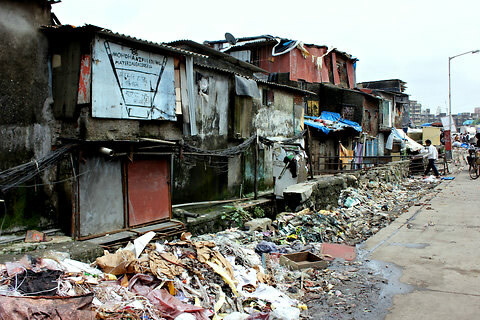 Filth and poverty are the hallmarks of Payatas. We can change this with a lot of effort. 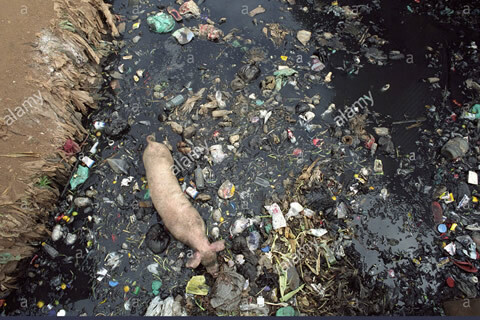 You can only imagine but I can tell you first hand about the rotten stench that emanates from these open sewers. 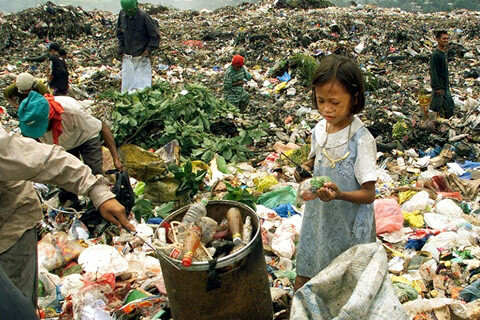 This girl inspects the contents of a small bag scavenged from one of thousands of bags of garbage at the dump site. Make a rational, informed decision on why you should support! Yes we want you to get sad by looking at the children but we also want you to make a rational, informed decision on why you should support this effort as opposed to some other. We deliver everything to which we make claim. That means your dollars support the cause. Make an appointment and come visit us and if are too far away, let us give you enough legitimate references to put your mind at ease that your dollars are going to help the cause. The time is now. These children need schooling, clothes, food, and who knows, maybe even a little fun in their lives. Don’t you want that for your children?